Where to find the best travel deals and the cheapest air ticket prices? Here is a list with such places, where you can search and compare everything a traveler needs. Priceline – Priceline puts the power of pricing back in your hands by allowing you to name your own price for hotels if the offer is accepted and pay no booking fees for flights, cars, or vacation packages. The site also offers reviews by travelers to help you make the best travel decision. You can save up to 50% over other leading online sites. Your Local Travel Agent – In this day of Internet crazed consumers, one should not underestimate the help of a travel agent. Although many have completely migrated away from the services of travel agencies, some travel agents are able to offer great deals on vacation packages as they may receive big discounts from various travel sources. It never hurts to call. Trip Advisor – Perhaps the largest online community of travelers, this is is the first (and often, last) stop for vacation planners. Not only can you book flights, hotels, car rentals, and buy tickets for attractions, you also have access to thousands of first hand reviews from real travelers. As everything is real time, Trip Advisor usually has more up to date information than travel books or guides like Frommers or Fodors. Travelocity – With no booking fees, Travelocity offers travelers a one-stop source for booking vacation packages. The web site boasts, “Save up to $525 on vacations when you book Flight + Hotel vacation packages. Plus, find deals on cheap vacations to top destinations worldwide.” Travelocity often has great deals on cruises, Walt Disney World vacations and more. Kayak – The only place you need to search for discounted airfare. This web site actually allows you to kill “several birds with one stone” as Kayak searches over 140+ airlines and travel agencies (including Orbitz.com, Travelocity.com, Hotwire.com, and other big airfare search engines) to aggregate the best flight deals, hotel deals and/or vacation packages all in one place. Apple Vacations – For over 40 years, Apple Vacations has worked to establish strong relationships with the best hotel and airline companies, resulting in superior service and lower pricing. Apple offers all inclusive vacations include round trip airfare, baggage handling, resort transfers to and from the destination’s airport, services of an Apple Representative in-resort, hotel accommodations, taxes and gratuities. When you purchase an all-inclusive package, all meals, drinks, gratuities, entertainment, and a variety of water sports are included as well. Apple offers vacation packages all over the world. Expedia – Budget vacation packages for family vacations, romantic travel, other cheap vacations and trips. Expect to find great vacation deals with Expedia. Expedia offers travelers the ability to book flights, hotels and rental cars all in one place. One Travel – Save even more on your next trip by booking one of OneTravel’s cheap vacation packages. Perfect for travelers on a budget, One Travel’s packages include hotel accommodations and round-trip airfare with the option of a car rental. Vacation packages around the world are available. Cheap vacation deals are constantly being updated and book quickly because time is of the essence. Hotwire – Find cheap vacation packages and deals that meet your budget and travel needs. Book all inclusive and last minute vacation deals at Hotwire.com. Travel Zoo – Similar to Kayak, Travel Zoo searches for vacation packages from loads of providers including airlines, travel and tour companies all in one place. In addition, sign up to receive the Travel Zoo weekly newsletter which highlights the week’s Top 20 best travel deals from hundreds of companies. Budget Travel – This web magazine by Frommers is focused on budget travel. Search by destination to see the best travel deals and vacations as selected by the Budget Traveler editors. Writers post stories on destinations, budget itineraries, tips for finding cheap flights or accommodations, and more. You can even post your own travel journal, photos or videos, and read others’ travel journals. There’s a paper magazine version that you can subscribe to ($20 for 20 issues), if you prefer to read your cheap vacation news in print. Mobissimo – Mobissimo is the ultimate travel search engine with a simple mission: improve the way people seek and discover travel information. The Mobissimo search engine performs real-time queries of multiple websites that travelers traditionally check manually (plus dozens of others that are often overlooked) to get travelers the best deals on flights, hotels and vacation packages. Last Minute – Last minute airfare, hotel, attractions, and packages in one database. If you are ready to get away fast, this is a great website to utilize. Last Minute saves travelers an average of $240 on vacation packages. Trip Mama – Trip Mama is a Travel Comparison Site designed for the informed, knowledgeable and discerning consumer. Trip Mama’s platform provides educated consumers with a wide variety of search options, targeted and filtered content and a stage for voicing opinions on any travel category. This site offers the consumer the ability to compare hundreds of package deals with a click and save up to 65%. Travel Flea Market –TravelFleaMarket.com has great discount vacation package prices all over the world including the beach, sin-city, a romantic getaway or a last minute vacation. Simply search under the Vacation Packages category or select a sub-category. The site’s best discounts can be found on the SuperBUYS page. Additionally travelers can sign up for the SuperBUYS newsletter, which consolidates the best discount vacations and all inclusive vacation packages deals weekly or monthly depending on your preference. Cruise and Vacation Packages – Specializing primarily in low cost cruise vacation packages, this web site assists the traveler in picking out desired cruising locations and cruising environment. The site offers access to vacation packages from the major cruise lines as well as vacation packages domestic and international. Fun Jet – Fun Jet works with travel agents, airline suppliers, resort suppliers and tour operators to give travelers the best vacation possible. Fun Jet Vacations sells both charter program flights and scheduled commercial flights along with our hotel accommodations and transportation. GoToday.com – This site offers European Vacation packages to places like London, Paris and Prague. Smarter Travel – SmarterTravel.com is one of the largest online travel resources for unbiased travel news, deals, and timely expert advice. SmarterTravel.com members are eligible for special discounts on airfares, hotels, car rentals, and more, providing our members with tremendous savings. Disney World Vacation Packages – The ultimate Disney World vacation package is a click away. This site is full of endless options in terms of which parks to visit, what entertainment to see, hotels, restaurants, theme park tickets, etc. GORP – This site specializes in outdoor travel guides and adventure travel information and gives travelers the resources needed to book outdoor/adventure trips including skiing, hiking, climbing, snorkeling, and horseback riding. Travelers can input destination information and the type of activity they are seeking and Gorp will produce a variety of suggested destinations that match the search criteria, as well as tour operators in the area that can help make the trip exciting. 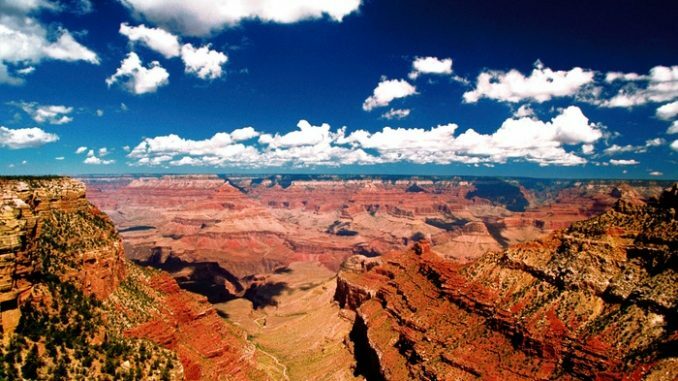 In addition, GORP provides great information on National Parks. Sandals – Sandals offers all inclusive vacations at one of many Sandals resorts. Resorts are located throughout the Caribbean and include accommodation, air fare, food and alcohol for the duration of your stay. Trip.com – Free travel search site designed to help travelers like you find the cheapest flights, cheapest hotels, cheapest car rentals, and cheapest vacation packages across all of your favorite travel websites with one easy click. Las Vegas Direct – Las Vegas Direct provides people with low pricing on hotels and airfare as well as a website that provides all the information one needs to book a trip to Las Vegas, Reno, Tahoe, Atlantic City and other top casino resort destinations. Orbitz – Orbitz offers travelers the ability to book their flight and hotel together to get access to discounted rates. Plus, Orbitz offers promotion codes that provide instant discounts on vacation packages. In addition, vacation packages are customizable; Orbitz lets you mix and match from a huge selection of flights, hotels and rental cars worldwide as well as adding tickets to tours, shows, sporting events and other memorable activities too. Do you want to enter the travel business industry ? You can operate your own travel search and compare engine website, recommned people what to buy and make money from that. You can check Travel Affiliate Script for more details.